I feel like I have a thousand things to tell you. There's so much going on my mind, in my heart and in my life. This morning after I took the girls to school, tidied the house and took part in a lovely girl's photography project, I sat down and started this blog three times. I have three incomplete blog drafts sitting in my post list and now this is my fourth. But I think this one will work because just before I sat down to write it, I spent a few minutes walking around snapping photos of things that tell the story of me now. Twelve photos that represent a bit of a snap shot of my life at the moment (minus the girls of course because they are at school). So I think instead of being overwhelmed with details I'm going to write a sentence or two to go with each photo and that'll be that. HARVESTING - rhubarb. 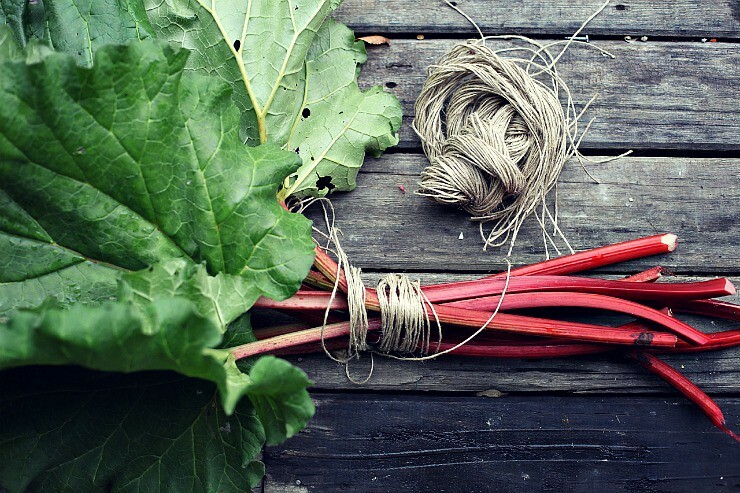 There is just so much rhubarb right now. I cut and tied this bunch to give to a friend this morning but forgot. I think I'll make a cake for the girls for afternoon tea now instead. I'm a little bit obsessed with tying things up with string at the moment. Somehow the winding and the tying make every package just that little bit prettier, don't you think? READING - These two books. Finished one and a hundred pages left of the other. Possibly two of the best books I have ever read. I'm trying my hardest to slow down and make the last pages last longer but it's impossible. I only hope the next book I pick up is as good. MISSING - salt. About a month ago my grandfather was told he had to cut salt right out of his diet. My grandfather and I have always shared a deep love of the salty. We were the type of people who added salt to a dish before even tasting it. If you were looking for the salt shaker at a meal time you could always be certain it was next to one of us. When he was told to cut salt out for health reasons I was devastated for him. It actually made me cry. And then I decided to cut salt from my diet too. I haven't added salt to a dish for a month. I miss salt like crazy. WAITING - for rocket. And for all the veggies that are sitting still in the icy cold ground waiting for the winter equinox and the days to get longer so they can put on some growth and feed my hunger for salads. CROCHETING - well I'm not actually crocheting anything right now, but I do need to darn in the ends of my May motifs, photograph them and write up a blog post about #MotifDayMay before it turns into July. KNITTING - woolly slippers. I love that Miss Pepper chose odd colours for hers. I love that she sleeps with them on the shelf next to her bed and I love that she took them to school today to wear them in class. Miss Jazzy's are next. LOVING - my farmer boy's new house rule that every member of this family must pick and eat at least one carrot a day, everyday. Yay! 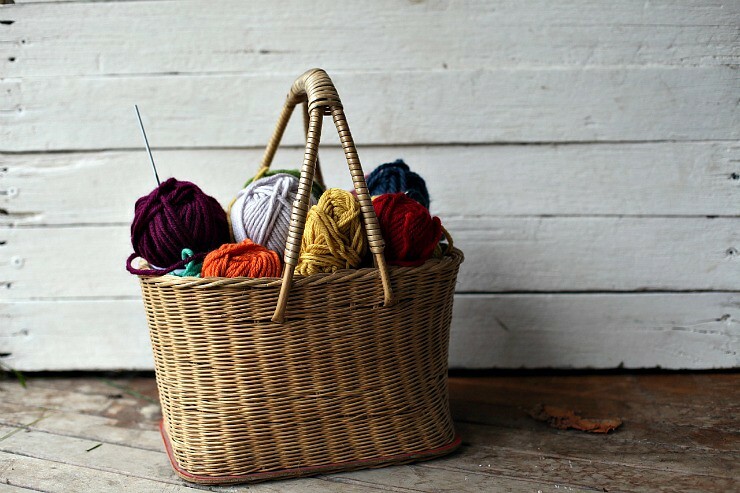 CARRYING - chunky wool and fat knitting needles in a cute basket wherever I go. 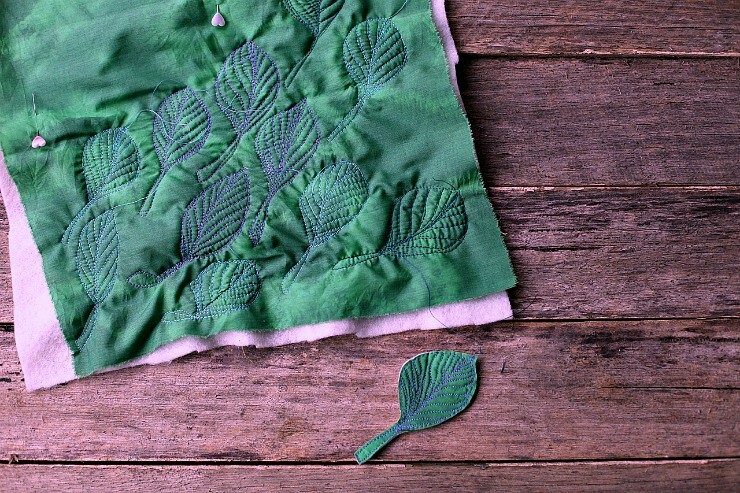 SEWING - right now I really should be outside helping farmer Bren prune the apple orchard but instead I'm alternating between writing this blog and sewing leaves. But firstly it really is just too cold outside. And secondly, I've got this space in my new craft area that I just painted white that I think needs to be surrounded by a leaf wreath. Hopefully the reality looks as pretty as it does in my mind. Hopefully also, it warms up a couple of degrees in the next little while and I can get a couple of hours of pruning in before pick up. WEARING - great quality, wool socks for the first time in my life and marvelling at the difference they make in terms of comfort and warmth. Until now I have always been too mean to spend much money on socks, but all that has changed from now on. Wow!! I would really like to learn how to knit socks this winter. 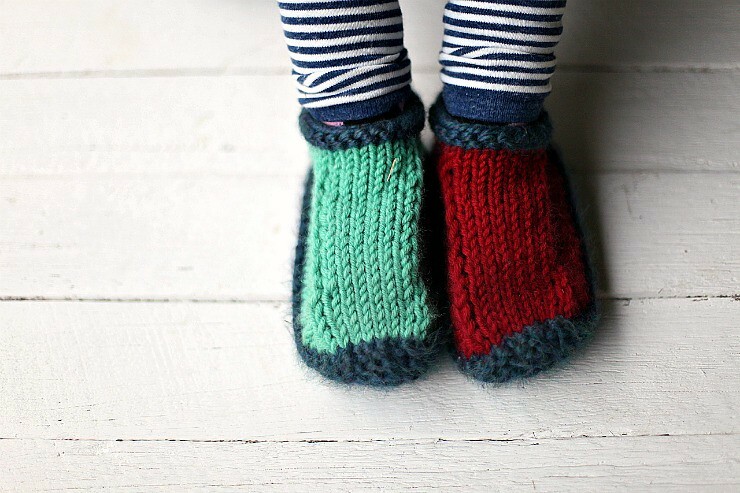 If you have an in-the-round, snugly fitting, simple sock pattern, I'd love the link. COOKING - spinach and kale and all things green and leafy in every meal. It makes me feel like a better Mum when I know my girls are eating such garden goodness. MARVELLING - at the fact that you can cook haloumi in your sandwich press. I know!! I had no idea you could do it either. Indi saw it on a blog somewhere, told me, we tried it and it works. I can't believe I spent so many years frying it in oil, splattering my kitchen with oil, and burning myself with flying bits of splattering oil. This past week we've enjoying the squishy, melty cheese without the hassle of the big cleanup. So great! OPENING - the pages of Zoe Phillip's new book The Time of Our Lives. 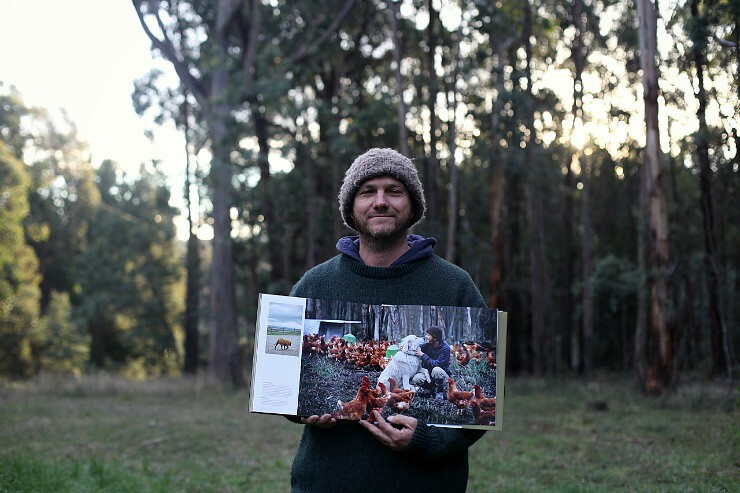 It is such a gorgeous book and I think the photo she took of farmer Bren and Bingo Maremma might just be one of the most beautiful photos I have ever seen. OK, that's me all caught up now. How about you? What are you harvesting, reading, missing, waiting, crocheting, knitting, loving, carrying, sewing, wearing, cooking, marvelling and opening? I am filled with basket envy, I am going to try to track those books down. 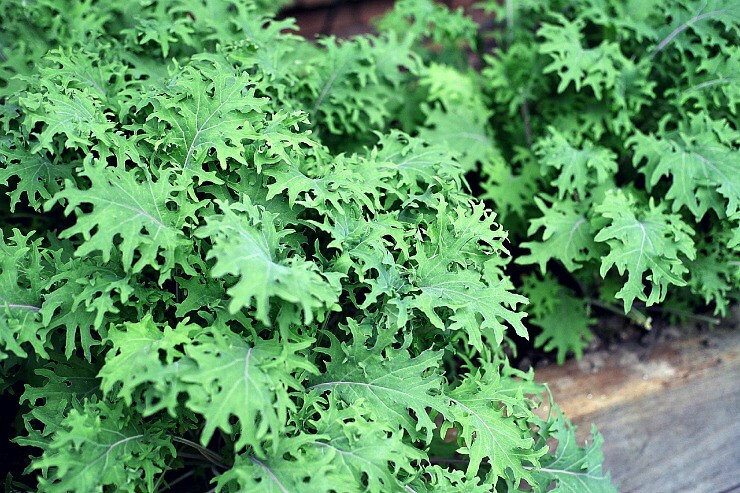 Spinach and Kale both look and taste wonderful. I have tried to knit socks but seem to add or lose stitches and drop one of the needles every few stitches, I tried knitting flat and sewing up but the ridge is uncomfortable. Rhubarb cake sound delicious. I am harvesting salad leaves and wild strawberries, reading blogs, missing my garden, waiting to find a house to buy, crocheting a blanket,attempting lace knitting, loving the Welsh countryside,carrying a bit too much weight, sewing rail fence blocks, wearing summer clothes,marveling at the friendliness of the Welsh people,and opening my mind to learning the language. We stopped cooking with salt once our baby daughter started solids. At first I missed it, but now I don't reach for the salt grinder, and when I sneak a slice of ham at work it tastes REALLY salty! Your posts are full of heart and authenticity. I love that. Here's the sock pattern I use - it's a beauty! They are men's socks but you can adjust lengthwise -where it says knit from end of heal flap until foot measures 23cm or 5cm less than desired length! (e.g. I have an 8 1/2 shoe size so I knitted to 19 cm then started shaping the toe). My partner loves his! I used Pagewood Farm Yukon (merino/bamboo/nylon) - so soft!!! Now I'm knitting a pair for myself. Love those slippers. Love those leaves. I'm going to give Flight Behaviour a go! The Poisonwood Bible is one of my faves, so I reckon I'll enjoy this one too! Have you read Burial Rites by Hannah Kent? You have to. Immediately! Thank you so much for the sock pattern, it looks great! I agree. I have an Ann Budd book (Sock Knitting Master Class) and when I purchased the book, it came with a dvd in the back. She explains things very well and I can recommend her advice. I am also a fan of Karen Rhatto-Whooley's patterns (or is it just Karen Whooley now?) I have tried her beginners knitting and crochet sock patterns. I'm on the other side of the world, (Austria, Europe), so summer is just starting here right now! I love your photos, they look so beautiful! Your blog is definitely on my top-5-blog-reading-list. Such a beautiful space! My goal for this year is learning to knit. By the end of the year I would like to manage to knit a pair of socks. And I want to learn to sew! I got a sewing machine for christmas and it still sits in a corner, unpacked. Shame on me! Do you have any suggestions as to where I find easy sewing and knitting projects for beginners? 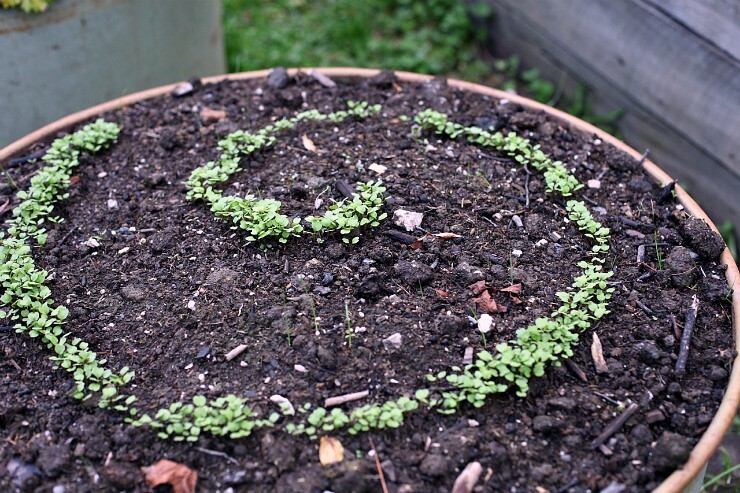 Love your snapshot Kate...how good is that swirly seed planting!? Love the carrot rule! Those wool socks look like the goods, I have trouble finding decent socks. I really can't decide which of your pictures i like best! Thanks for giving us such wonderful insights into your life! Looking forward to your motif a day post. Your post on how crochet can be meditation got me thinking. I often call my crochet my yoga. I wrote a blog post about it just this week. PS I'm sorry, I'm not sure why my name turned into an akismet key :( My name is Chantell, and I have a little blog @alifemissunderstood.wordpress.com Thankyou for the book suggestions, always keen for great books to read! So many happy ideas here, I love the swirl of salad, looks great! I love heading out into the garden to pick greens for dinner, so quick to grow too, you've inspired me to out some more in this weekend! I love big baskets of knitting and woolly socks too. I bought Wendy Johnson's Socks from the toe up book when I started knitting, socks, it covers the basics of construction and has lots of gorgeous patterns. I'm on my third pair of those slippers now, one more pair to go then we'll all have cosy feet. Keep warm! Such a wonderful post Kate. I always so enjoy coming here. I love the way you write, and i love the way you capture your images. Always inspirational on both fronts. I'd love to knit socks too....just have to get to grips with knitting first as I am such a pants knitter! Have a super rest of a week and I hope the temps warms up a little for you! 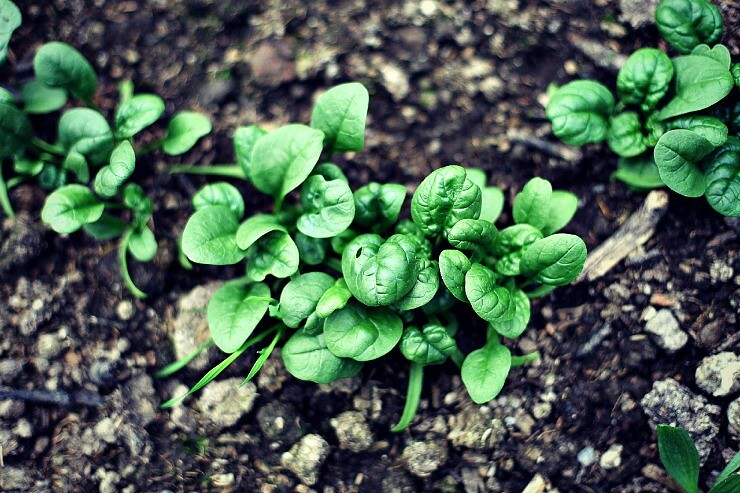 Harvesting- spinach. Not much but neough for me to make spinach & cheese rolls for the freezer. Thanks lovely Reannon, loved reading your goings on. Can totally relate to the infomercials combined with reading the Sunday papers during the wee hours of the week because life was too busy to even open it on a Sunday! Lovely list! I too spent money on really good socks this year... merino wool, thick, australian made (ethically)... at almost $30 a pop I had a little gulp of guilt before I made the purchase thinking how much cheaper it would be to make my own. I too am going to learn to knit socks this year... will be looking for the links other lovely readers are sharing! My next husband will be haloumi. If I wasn't in love I would marry haloumi now. I know exactly what you mean about trying to slow down the book so you don't finish it - Barbara Kingsolver is fantastic! I have not read that book yet - will have to check it out! Spending money on good wool socks is definitely worth it. I wear the same three pairs all winter (SmartWool) and I always ask my mom for a pair for Christmas! Though I do want to learn how to knit some for my little babe this year. 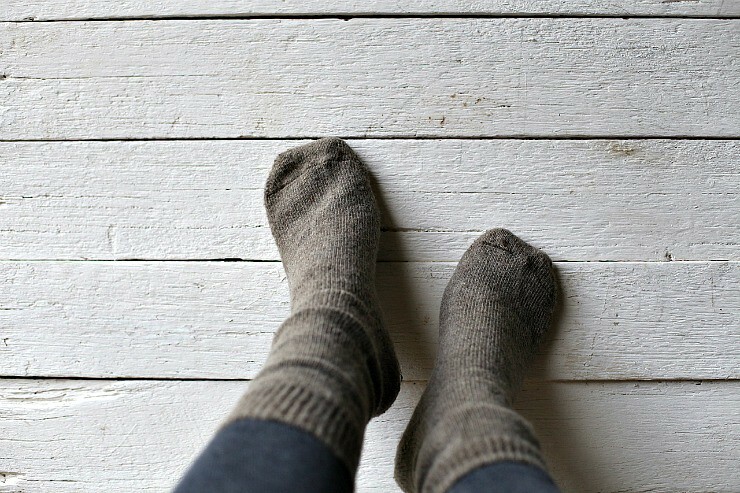 Try this link to a very simple diy for basic socks. I'm trying it right now. If you like that she also has a simple one for men. Oh my gosh. I think you've changed my life. Haloumi in a sand which press. Wow. Thanks from wool sock wearing country (Tassie to everyone else!!). That haloumi tip may have just made my day! Except we need to buy a new sandwich press!!! lovely blog post. 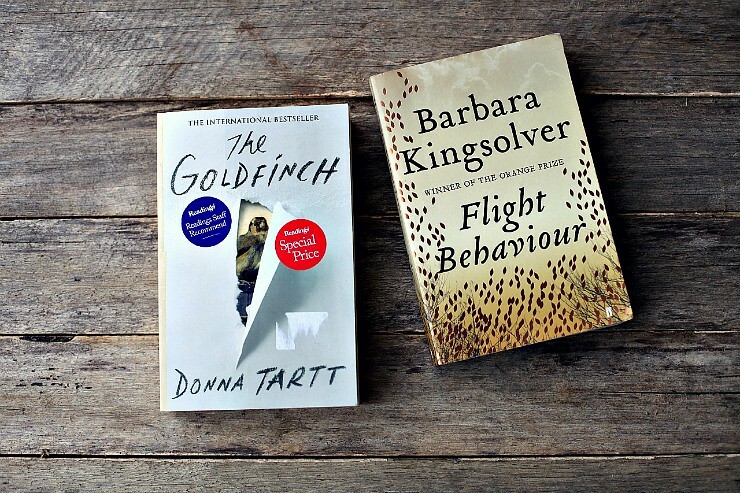 I've read The Goldfinch and Flight Behaviour and agree with you - such wonderful books! I've recently loved Delicious by Ruth Reichl, The Girl Who Saved The King of Sweden by Jonas Johnson (I think? ), Life After Life by Kate Atkinson and I just re-read Bel Canto by Ann Patchett. It's so necessary to always have a good book on the go - even if we only manage to read one paragraph before falling asleep at night! The beauty of the Blogging world is we can meet people from all over the world and share for a moment. Every time I visit your Blog I'm reminded as you are talking about the emerging cold and after a blistering hot evening DH got up before work this morning to install a window AC unit. 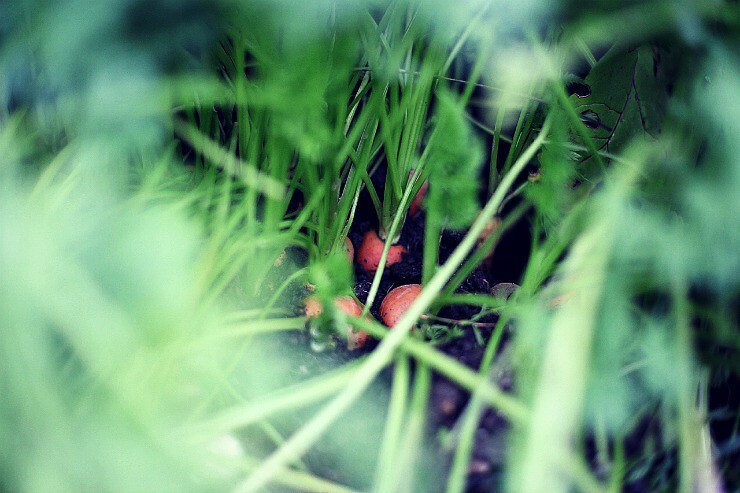 The only veggie in our garden we are concerned is going out of season is the Asparagus, everything else is just starting to emerge from its late Spring growth. What an idyllic and healthy lifestyle :-) beautiful snapshots, as always. 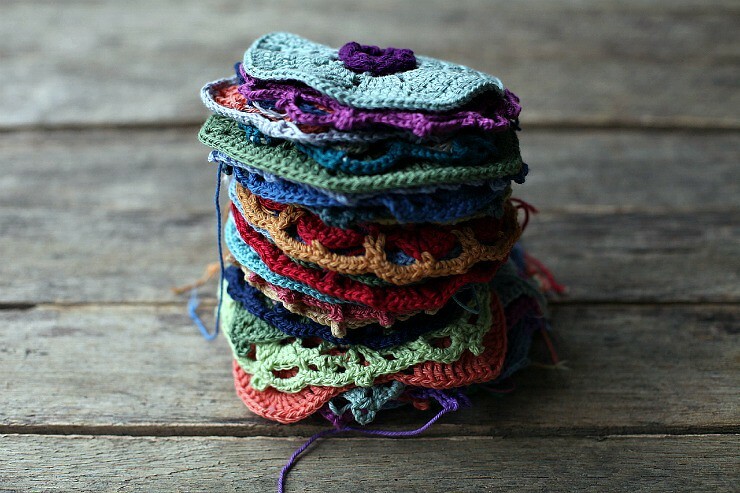 hard to choose a favourite but the colourful basket of yarn is an enduring image. baskets are such an attractive and convenient way to store our craft supplies. just finished Barbara's "Flight Behaviour", it was ok. not amazing like her "The Poisonwood Bible" which is highly highly highly recomended. !!! 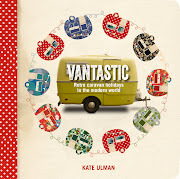 Love your blog, came to you via the Attic 24 vantastic blog. Have loads of rhubarb too here at the mo, love the recipies in rustic fruit desserts. I read back in your blog and know the fear that comes from finding a lump or having a call from the doc, fear for your kids and the thought of leaving them far outweighs the fear for yourself, glad all is ok with you. Still picking some late climbing beans and tomatoes even though Winter has begun. knitting: nothing atm. Socks are on the agenda as soon as the WIPs are done. Kingsolver is my most favourite author I think...but I haven't read this one. Must remedy that! Love the look of those leaves. Did you just do them freeform on your machine? I did them free form with the embroidery foot thing. You can look forward to the delights of gardening with toddlers and children. Such a great sensory and learning experience for them, especially in summer when they get to wield the watering can. All the best with your pregnancy and family life. I LOVED The Goldfinch-tried to slow myself down reading it then just gobbled it up ,sigh ! Thanks for the heads up on the haloumi tip. Your photography is so lovely. Your blog is so inspiring + I'm so glad I just stumbled across it. A lovely snapshot of your life right now. I'm harvesting berries and peas and salads and other early summer things. Knitting a scarf, even thought it's warm. My thoughts are full of the idea of doing a writing course. Should I, shouldn't I? I can think of nothing else. Love the picture of one man and his dog, wonderful. I love this pattern because I hate to do short row heels. http://www.ravelry.com/patterns/library/afterthought-heel-socks. It's a good beginner pattern, I think. Thank you for the book recommendations! Can't wait to check them out on Audible.com. That way I can knit socks and listen at the same time. I like every pictures you show us. The green and the wool are inspiring to me. Love your catch up and your pics, everything you do is always so inspiring. I must put up a blog post myself, tomorrow is the Winter solstice, seems appropriate! Have a lovely weekend and a beautiful week. 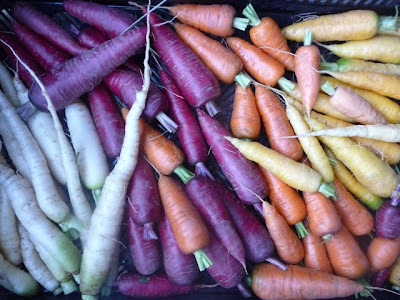 Every picture looks amazing - the Kale, Carrots, wooly socks. Winter is upon us! I love salt I don't know if I couldn't add it - amazing job! sorry about the very odd formatting in my last comment. hope it's legible and useful! I find your blog, lifestyle, photos and craft very inspiring :-) Thank you for sharing.